Regular exercise is a great way to take care of your physical and mental health. But if you have a busy routine, it can be difficult to get to the gym regularly. Make your life easier with an at-home gym instead of a gym membership. You can get all the benefits of a workout without the inconveniences or hassle of going to a gym. You can create your in-home gym by investing in your own equipment or by moving into a building that comes complete with a fitness center. Either way, you’ll find that streamlining your fitness routine will make exercising easier so that you can get the physical results you want. With an at-home gym, you remove a lot of those hurdles that can make working out feel like an inconvenience. One of the hardest things about working out is leaving the comfort of your bed or the indoors in order to get outside. 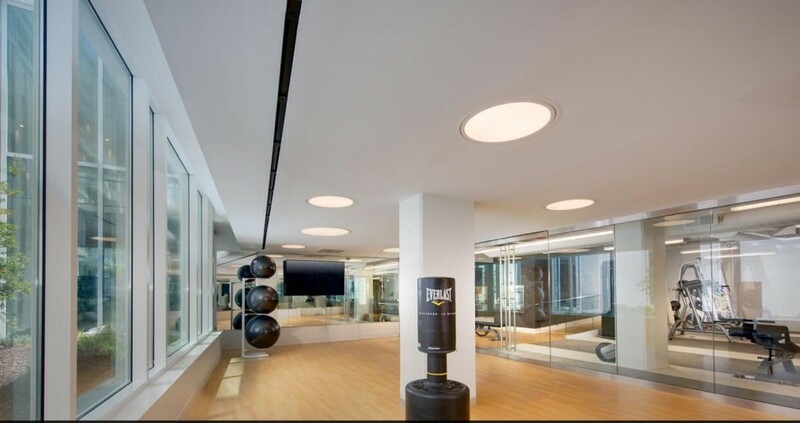 With an at-home gym, you don’t have to leave your building. You also don’t have to travel any significant distance or pack and carry a gym bag. With an at-home gym, there is no excuse for not working out. Whatever the time or weather conditions, you can take the few steps to walk to your fitness area. You can roll out of bed and get right to business; there is nothing separating you from your workout! Save yourself the time you take getting ready to go to the gym, the commute there, and the commute back by working out at home. These little moments going to and from the gym add up and can become annoying during particularly busy periods of your life. Speaking of time, a home fitness center lets you control your own time. You can choose your own workout routines without having to follow a gym’s schedule. It also allows you to create the environment you feel is best suited to you. We all know that not everyone wipes down their equipment before and after they use it at the gym. This makes gyms a breeding ground for germs and bacteria. 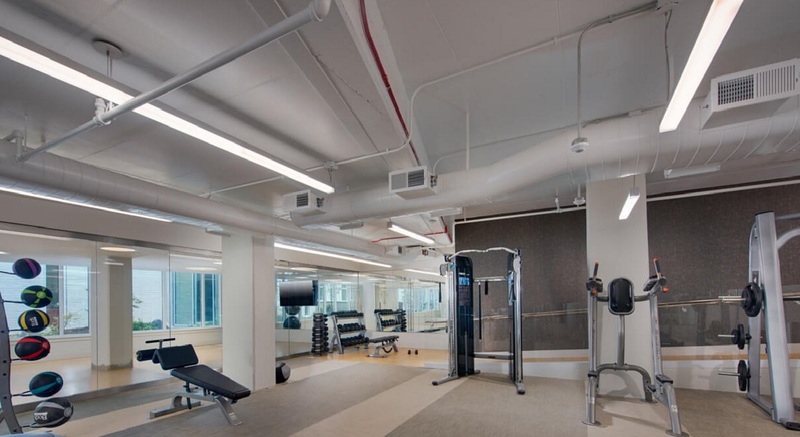 Having access to your own equipment or a private fitness facility lessens the risk of getting sick from sharing space and equipment in a public environment. Practicing your fitness routine at home means that whatever your post-workout routine is, you can make sure everything you want and need is ready for you. Whether it’s a protein shake, a bath (ice or bubble), or a change of clothes, you don’t have to wait to get your needed post-workout care. You can hit your own shower, rather than the communal ones at a gym. And then it’s on to the next part of your day! There is no lag time. There is less time wasted in your schedule. By having your own fitness center at home, you’ll be able to more conveniently and independently take charge of your workout routine. 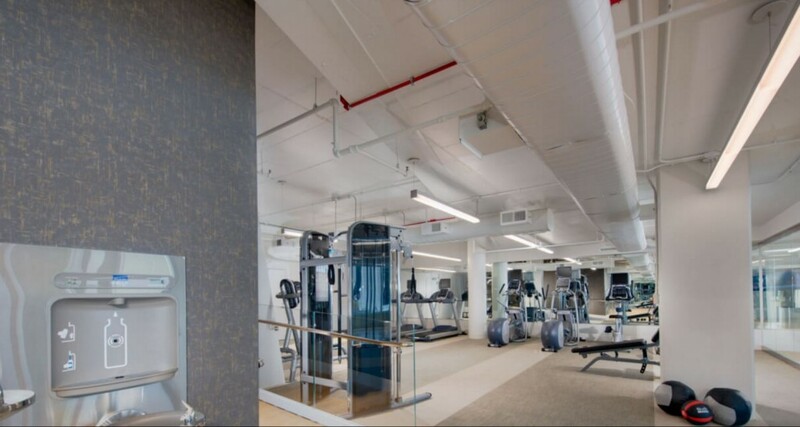 And working out from home is easy when you live in an ultra-modern residence like 5333 Connecticut Ave. We have a complete and spacious fitness center, as well as a yoga room! We make working out easy and comfortable. Contact us today to learn more about luxury living — and exercising — in Chevy Chase, one of the most sought-after neighborhoods in DC.